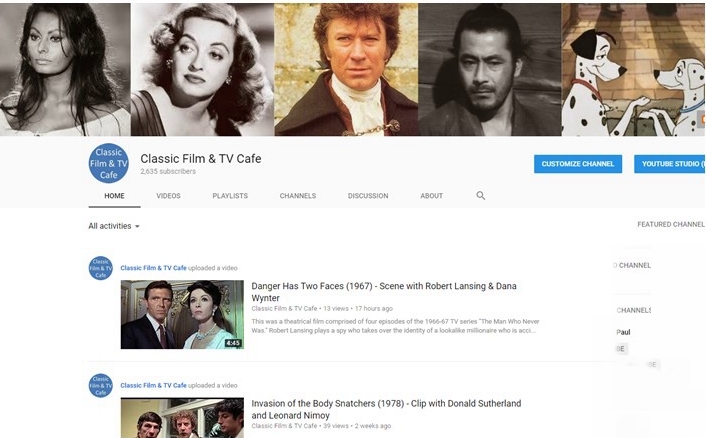 What can you find on the Classic Film & TV Cafe YouTube Channel? Well, there are lots of clips from classic movies such as: Ronald Colman as a quiz show contestant in Champagne for Caesar, Ava Gardner as a statue come to life in One Touch of Venus, Michael Caine as a reluctant spy in Funeral in Berlin, and Danny Kaye trying to box in The Kid from Brooklyn. We've also had a grand time posting scenes from intriguing lesser-know films. So, you can see Mel Torme as a gunfighter in Walk Like a Dragon, Dirk Bogarde and Olivia de Havilland in the engrossing courtroom drama Libel, and Glynis Johns diving 80 feet a into a "lake of flames" in Encore. Lloyd Bridges in The Loner. 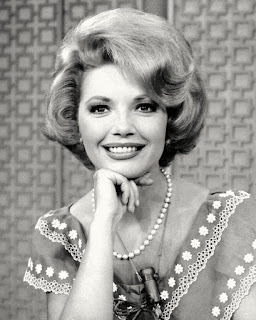 What about classic television? 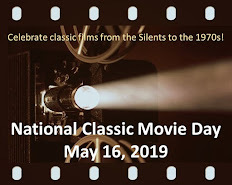 It's well represented with memorable scenes such as: Martin Milner and Lee Marvin slugging it out on Route 66, Jack Klugman as a DA on The Defenders, and Lloyd Bridges in Rod Serling's Western series The Loner. 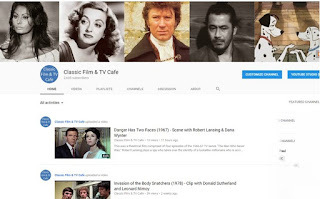 The Cafe staff has created some original content, too, with a mix of quizzes, original trailers, photo tributes to stars like Cary Grant and Sophia Loren, video reviews, and even a snippet from our audio interview with Hammer actress Veronica Carlson. What are our most popular videos? Well, if you count the percentage of "like" vs. "dislike"--and require a minimum of 30 "likes"--the most popular are a clip from Hammer's The Mummy and a tribute to Roger Moore's leading ladies on The Saint TV series. If you measure popularity by the number of comments left by videos, then the most popular are The Slipper and the Rose, Horror of Dracula, and My Bodyguard. So, you're telling me that I don't have to stare at the screen wondering what to watch on YouTube? I have got to pay more attention to what's going on! Although dual characters were a trademark, Danny Kaye's, "The Court Jester" was his masterpiece. From "the brew that is true," to his sagging gold tights in the marching routine, to his intermittent hypnotic swashbuckling, it never ceases to amaze. Congrats on 100 videos, 2600 followers and over a million views! That is awesome! If I ever start my own YouTube channel, I'm coming to you for advice. Congrats, Rick! Quite a remarkable and admirable feat. I'm going to have to take a look and join up! 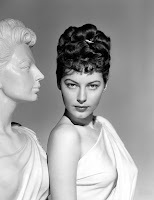 The classicfilmtvcafe.com rocks! Congratulations on the success of the YouTube channel, Rick!